Five years ago, 276 schoolgirls were kidnapped from their school in Chibok, Nigeria by Boko Haram militia. One hundred are still missing. These girls, a symbol of the ongoing brutality in conflict-torn northeastern Nigeria, represent a fraction of the more than 3,500 girls and boys abducted by armed groups since 2013. Many are still in captivity or missing. The world may have forgotten about these kidnapped children, but their parents and families have not. Neither has UNICEF. "When I think of my daughters, I shed a tear and say a prayer for their safe return," said Ali Mustafa (above). He lost three of his daughters when an armed group attacked his village in Mafa four years ago. His oldest daugher, Babagana, was 15 at the time. His youngest, Falta, was only 10. He speaks fondly of his girls. "Seeing other girls about the same age or same height, playing the same games, reminds me of my girls." 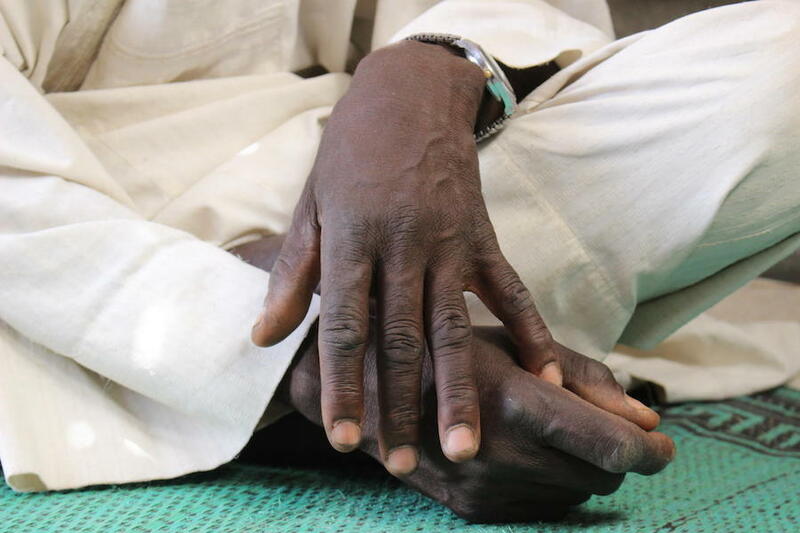 "Boko Haram attacked my house, the fighters put a gun in my ear and threatened to slaughter my wife in front of my eyes if I didn't give four of my daughters away," said Kadir Kamsulim. 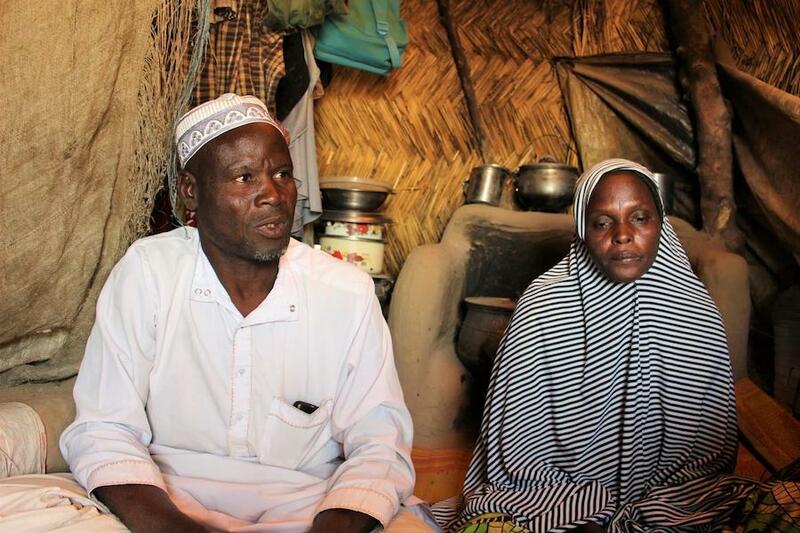 Their daughters were married to the fighters on the spot and then taken away. 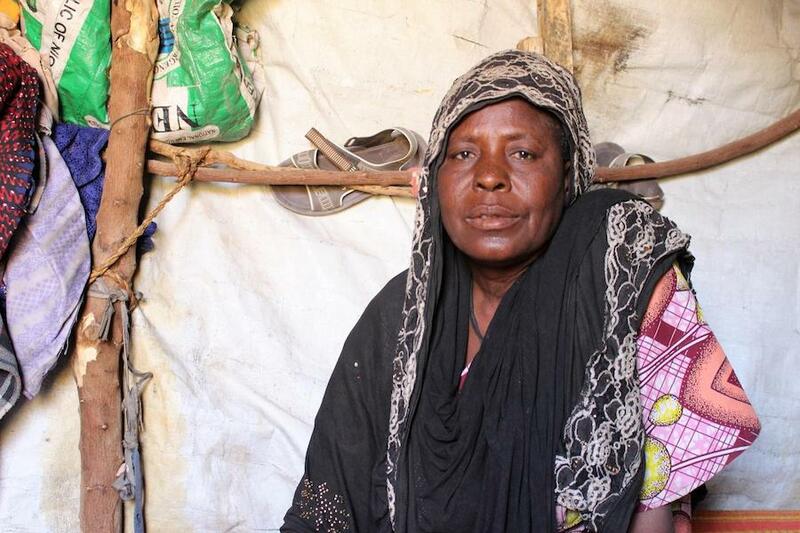 "When I am all alone, I am scared that the boys will come back, indoctrinated by Boko Haram, and will kill me," said Hadiza Garba. 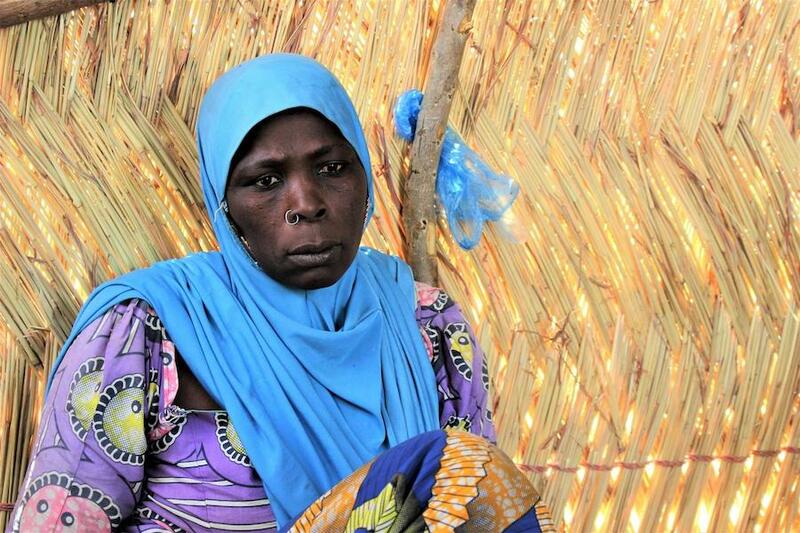 Her husband was killed and three of her sons were taken by fighters when the armed group attacked her village in Dikwa. Helping children return to normal life after their horrific experiences is a long and complex process. In 2017 and 2018, UNICEF and partners provided community-based reintegration services to more than 9,800 people formerly associated with armed groups, as well as vulnerable children in communities. These services help to trace children's families, return them to their communities, and offer psychosocial support, education, vocational training, informal apprenticeships and opportunities to improve livelihoods. 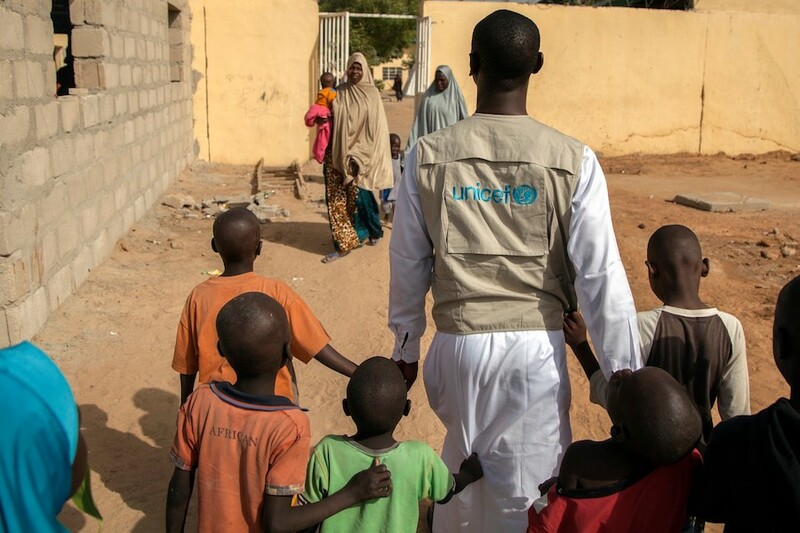 "Children should feel safe at home, in schools and on their playgrounds at all times," said Mohamed Malick Fall, UNICEF Representative in Nigeria. "We are calling on the parties to the conflict to fulfill their obligations under international law to end violations against children and to stop targeting civilian infrastructure, including schools. This is the only way we can begin to make lasting improvements in the lives of children in this devastated part of Nigeria." Please support UNICEF's work around the world to save and protect children around the world. For more than 70 years, UNICEF has been putting children first, working to protect their rights and provide the assistance and services they need to survive and thrive. With a presence in 190 countries and territories, UNICEF has helped save more children's lives than any other humanitarian organization in the world.